Youngstown, Ohio is the county seat of Mahoning County and is named for John Young, an early settler from New York. The city prospered for decades under heavy industrialization, chiefly steel mills. Closure of the mills in the 1970s led to major population losses and a sharp increase in poverty. In 1900, the Youngstown Sheet & Tube Company was founded by George D. Wick and James A. Campbell and produced steel sheets and tubes. The boundaries of the city consisted originally of downtown, Smoky Hollow, Arlington, and Mahoning Commons, but grew out to the East Side, Wick Park, River Bend, and Oak Hill neighborhoods by 1880. 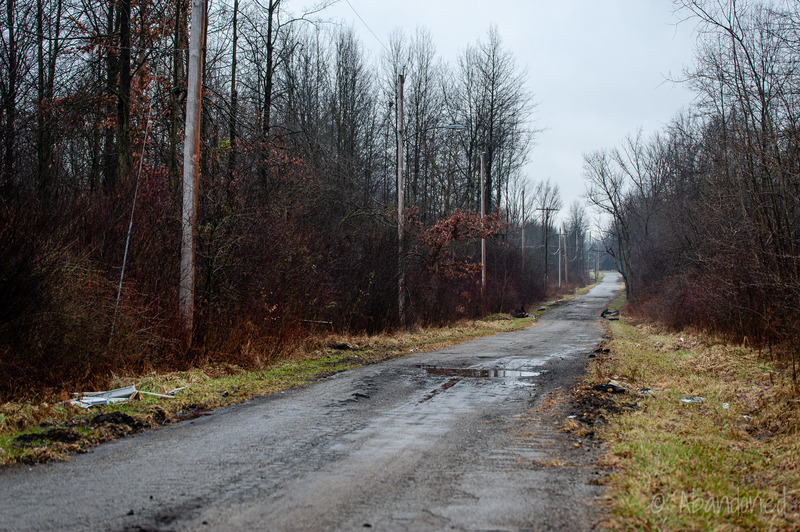 13a By 1900, Hazelton, Lower Gibson, Erie, Warren, Steelton, and Brier Hill had been built, followed by Buckeye, Lansingville, Salt Springs, and Belle Vista in 1910. A major expansion in 1929 encompassed the entire township, adding Kirkmere, Idora, Schenley, Landsdowne, North Heights, Sharon Line, Lincoln Knolls, Brownlee Woods, and Pleasant Grove. A comprehensive plan adopted in 1951, and amended in 1974, projected that Youngstown would growth to 250,000 in population thanks in part to strong demand for domestic steel and reconstruction in western Europe, Japan, and South Korea. 13a 13b Much of the land at the fringes of the city, totaling 12,000 acres, was reserved for housing. Today, the city is known for Youngstown State University, a liberal art and research-oriented university with 15,000 students located near downtown, the mammoth Butler Institute of American Art, the Powers Auditorium, a former Warner Brothers theater, 11 the DeYor Performing Arts Center, and the Covelli Centre. 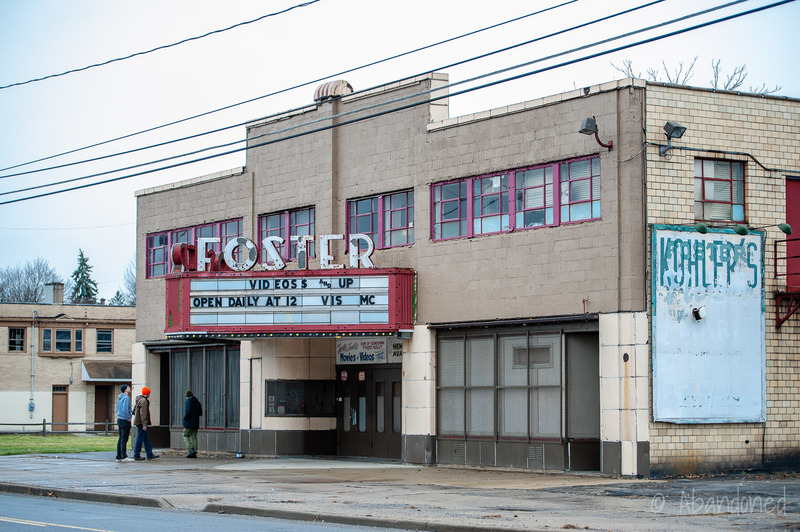 Aided in part by historic preservation tax credits and low-interest financing for abandoned buildings, millions of dollars have been reinvested in downtown and surrounding neighborhoods. The empty Wick Building has been rehabilitated into market-rate apartments and extended-stay units, and the abandoned Stambaugh Building has been renovated into the city’s newest hotel in 30 years, two restaurants, a coffee shop, and a roof-top bar. Federal Street, once pockmarked with collapsing theaters and department stores, is now home to boutique breweries, small-scale eateries, and locally-owned stores. 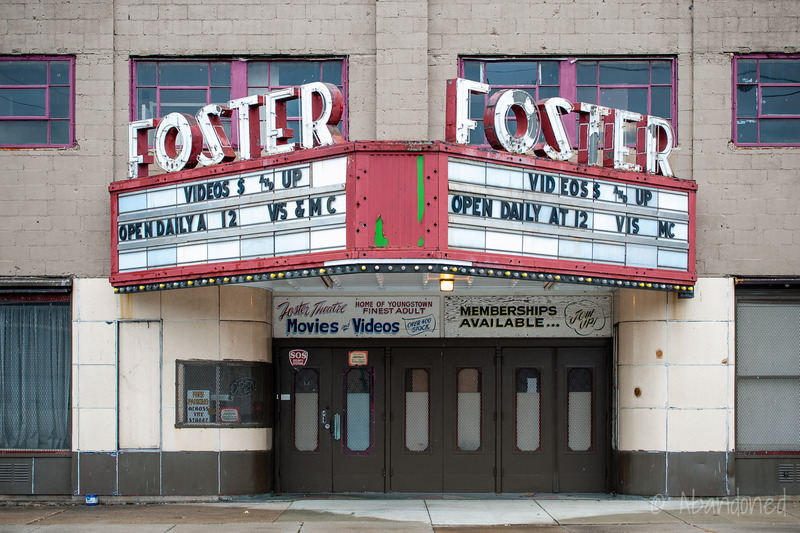 The Foster Theater opened in 1939 with seating for 800. By 1973, the facility had switched to showing adult films. 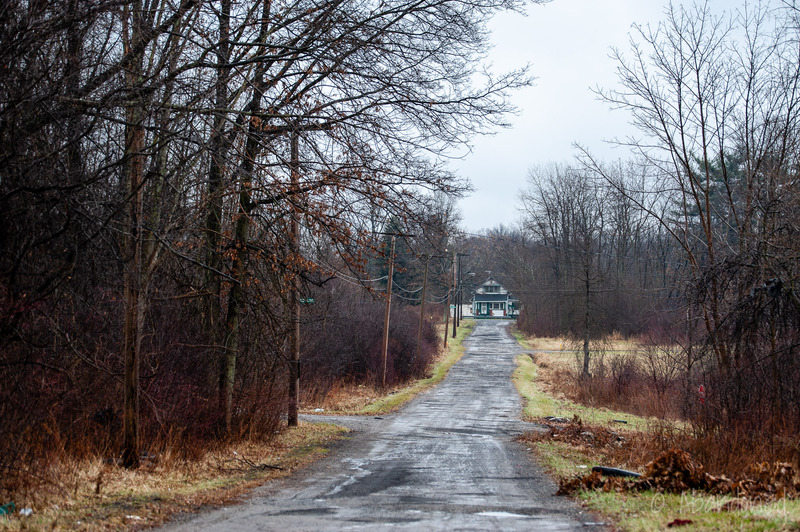 The McGuffey Heights neighborhood of Youngstown never fully developed. “Knowing Youngstown: John Young’s Land Purchase.” Youngstown Daily Vindicator 15 Oct. 1924: 7. Print. The Bicentennial Commission of Youngstown and Mahoning County, Ohio, and Howard C. Alley. A Heritage to Share: The Bicentennial History of Youngstown and the Mahoning Valley. Youngstown: 28-29, 1975. Print. Blue, Frederick J., Jenkins, William D., Lawson, William H., Reedy, Joan M. Mahoning Memories: A History of Youngstown and Mahoning County. Virginia Beach, VA: Donning: 15-16, 1995. Print. PRR CHRONOLOGY: 1833. N.p., June 2004. Web. 3 Dec. 2012. Article. Adkins, Wendy J. “Penn & Ohio.” Heartland. N.p., 1997. Web. 3 Dec. 2012. Article. Holland, Jeri. “Pennsylvania & Ohio Canal.” History of Akron & Summit County. N.p., 2011. Web. 3 Dec. 2012. Article. 1835-1873.” Unpublished essay, May 1992. Cuyahoga Falls Archives. Christie, Les. “The incredible shrinking city.” CNNMoney. N.p., 24 Apr. 2008. Web. 3 Dec. 2012. Article. Fuechtmann, Thomas G. Steeples and Stacks: Religion and Steel Crisis in Youngstown. New York: Cambridge University Press: 1989. Print. Bruno, Robert. Steelworker Alley: How Class Works in Youngstown. Ithaca, NY: Cornell University Press: 1989. Print. Linkon, Sherry Lee, Russo, John. Steeltown U.S.A.: Work & Memory in Youngstown. Lawrence, KS: University Press of Kansas: 2002. “History.” City of Youngstown, Ohio. N.p. 2012. Web. 3 Dec. 2012. Article. 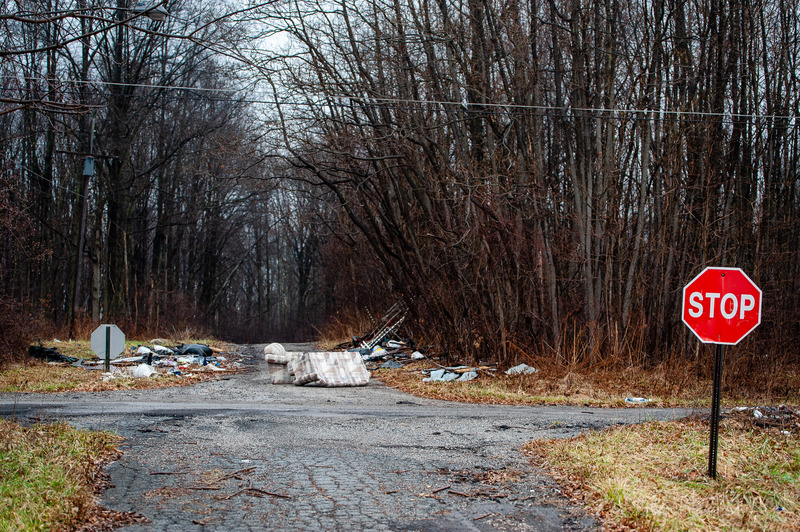 “Neighborhoods.” City of Youngstown, Ohio. N.p. 2012. Web. 3 Dec. 2012. Article. “Youngstown 2010 Plan.” City of Youngstown, Ohio. N.p. 2012. Web. 3 Dec. 2012. Article. “City History.” City of Youngstown, Ohio. N.p., n.d. Web. 3 Dec. 2012. Article. “Existing Land Use – The 1951 and 1974 Plans.” City of Youngstown, Ohio. N.p., n.d. Web. 3 Dec. 2012. Article.